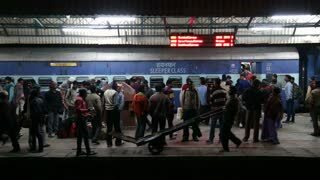 AMRITSAR, INDIA - 2 MARCH 2015: View on train station from arriving train in night time in Amritsar. 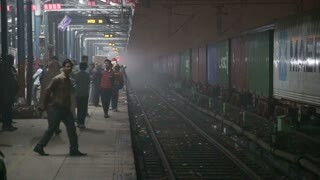 AMRITSAR, INDIA - 2 MARCH 2015: People at train station by empty railway in Amritsar in night time. 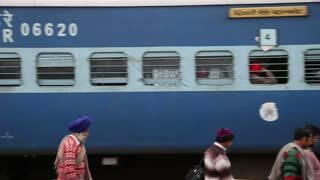 AMRITSAR, INDIA - 2 MARCH 2015: View at people on train station while departure. AMRITSAR, INDIA - 2 MARCH 2015: Portrait of man walking down the station while train arrives in background. 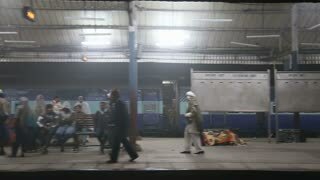 AMRITSAR, INDIA - 2 MARCH 2015: People at train station in Amritsar in night time while train is arriving. AMRITSAR, INDIA - 2 MARCH 2015: People at the train station in Amritsar, back view. AMRITSAR, INDIA - 2 MARCH 2015: Train arriving at the train station in Amritsar, with people passing by. AMRITSAR, INDIA - 2 MARCH 2015: People at the train station in Amritsar. AMRITSAR, INDIA - 2 MARCH 2015: Group of men carrying load passing by people at the train station in Amritsar.